At Jessamine we have Laser Wheel Alignment equipment giving us the ability to accurately adjust your vehicles wheel alignment. Wheel alignment can affect many different aspects of the vehicles handling, it can be knocked out by clipping a kerb or pothole. Whilst we check the wheel alignment we also check the suspension we can see to make sure that is still in good condition. 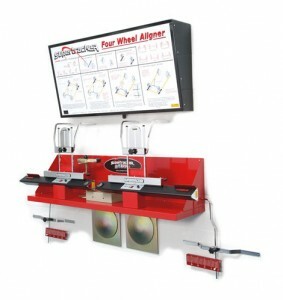 Our Technicians have had training in how to correctly carry out wheel alignment. Wheel alignment usually takes about an hour to check and adjust. We can do this whilst you wait if needed however booking is essential. Call or email us to arrange a booking.